One of the biggest unknowns at the moment is which motors are going to be used in the final wheelchair. The problem is that my background is in computing not engineering and I don’t know much about motors. As an experienced walker though I can make some calculations about speed. The average healthy person walks in the mountains at a speed of 4km per hour (2.5 mph) so there isn’t much need for the wheelchair to go any faster than this. To work out what speed the motors need to turn, I’m going to use a 12″ (30cm) wheel as an example. A 12″ wheel has a circumference of nearly 1m. To travel 4km then it would require 4,000 rotations. This tells us that this wheel would need to rotate at a speed of 4,000 rotations per hour, or 66.66 rotations per minute. If we rounded this up to 67RPM we have an idea of what speed a 12″ wheel needs to rotate in order to travel at a walking pace. This example though presumes that the wheel turns at the same speed of the motor and doesn’t take gear ratios into account. However, even with this simplified example it becomes clear that the motor doesn’t need to operate at high speeds. What’s going to be more important is torque, but more on this in a moment. Providing power to the motors is also a current unknown. To complete the 18 mile journey to the top of Snowdon and back at 4kmph would take about 7.5 hours (without stops). This would mean that the batteries would need to be able to supply constant power to the motors for an absolute minimum of 7.5 hours, although this doesn’t take into consideration things like terrain, angle of inclination, or wheel spinning/slipping. Another consideration is the battery voltage. It’s a lot more complicated than this but in very general terms, the higher the voltage rating of a motor, the higher the torque. Also, as a battery’s ability to supply a higher voltage over a longer period of time increases, its size and weight also increase. I don’t yet know what calculations I need to perform, but, I don’t think a 12v battery (similar to what you’d find in a car) will be big enough. To get enough torque out of the motors, I’d guess that we’d need at least 36 volts (3 car batteries). If the final design employs a rocker bogie mechanism then it will likely need 6 motors (one for each wheel). 3 car batteries for each motor (18 car batteries!!!) is clearly out of the question. I think it will most likely either use one battery for the whole system, or two batteries so that there is one for each side. This could be a 48v battery overall, or 2 x 24v batteries. 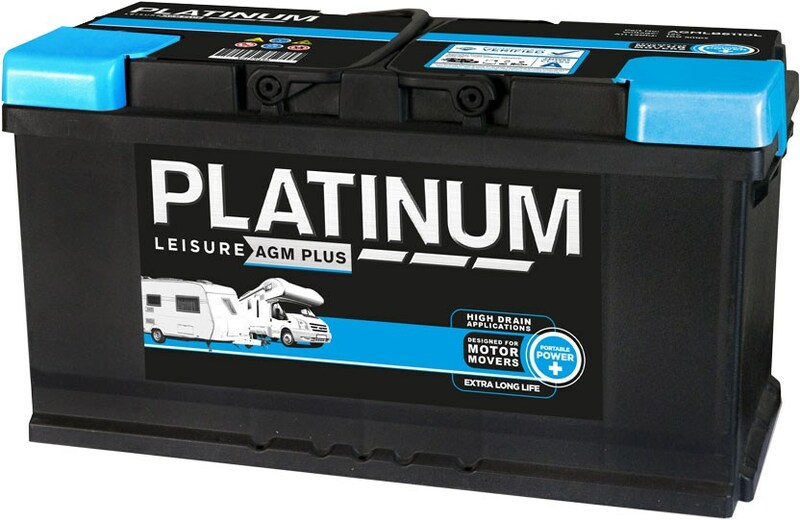 At the moment I’m thinking of 12v/24v leisure batteries used in caravans and boats but there are alternatives such as the small 12v batteries you get on motorbikes (although I doubt they’d up to the job), the 48v batteries that you get on electric bicycles, and of course I should look at the batteries used on a typical wheelchair. I don’t think it’s possible to decide on a battery until we know the power requirements of the motor though, which brings me back tot he topic of this post. Motors are powered by magnetic fields. These magnetic fields are created by passing current through a wire. The stronger the current, the stronger the magnetic field. So as I said above, in very general terms, the higher the voltage rating of a motor, the more torque it has. 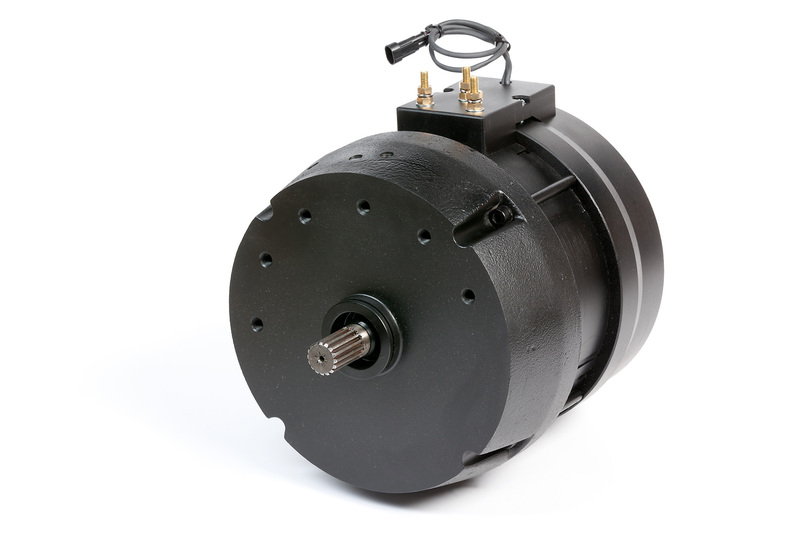 There are different types of motors such as brushed, brushless and servo motors amongst others. According to sparkfun.com, brushed motors have the advantage of being simple to control, have excellent torque at low RPM and are inexpensive to manufacture. They sound perfect for our needs. The disadvantages of brushed motors are that the brushes can wear out over time, they generate electromagnetic noise and are usually limited in speed due to brush heating. As mentioned above though, speed isn’t an issue for us and brushes can be replaced. Noise could be an issue though as it’s going to be important not to upset other hill walkers. Brushless motors are becoming more and more popular as they are reliable, efficient, produce high speeds, are mass produced and easy to find. They are however difficult to control without a specialised controller, and importantly they require a low starting load. In comparison then, brushed motors are better for low speed torque, whereas brushless motors are better for high speed where torque isn’t a concern. Of the two it’s clear that a brushed motor is the more suitable. The motor manufacturer MAHLE sell 24v DC motors with a power rating up to 3,5 kW. These motors are used in winches and the like. If they can pull a Landrover then they shouldn’t have difficulty pulling a wheelchair. However MAHLE also sell an AC induction motor which is specially designed for low-voltage applications and for use in electric vehicles. Although they use alternating current, they will still run off a direct current battery with the use of an ECU which converts DC to AC. MAHLE’s 24v AMT has a power rating of 5kw. 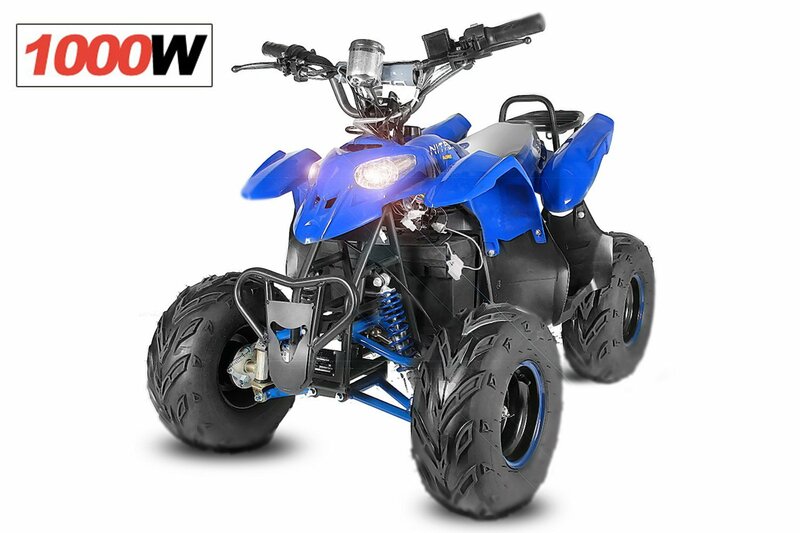 Although I still don’t know what power rating is needed, just to give some context a child’s electric quad bike typically uses a 1kw motor. In summary, this feels like progress towards choosing a motor and it seems the first step is to calculate torque requirements and then research AC induction motors.